In the time we are using our mobile phones almost 24 hours per day even we are walking outside the home and when we ride a car or bus, having our smartphones stolen possibility has become so high. And with the increasing of smartphones usage fields, having them stolen could be a crisis due to the data stored on it whether the data is pictures of us or our friends, data like passwords, or credit cards data which may cause a huge loss or even lead to be threatened by the thieves. 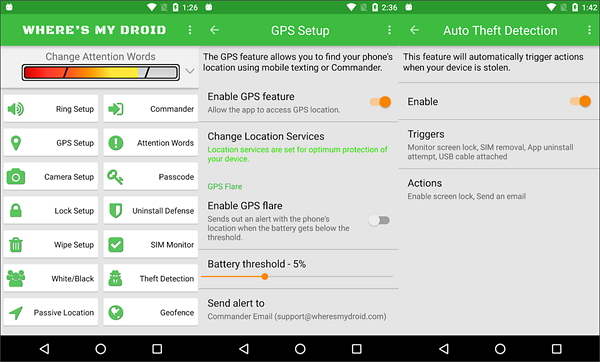 In order to protect your mobile, find stolen Android phone, and protecting your data, I provide you with this list of the best Anti-Theft Apps for Android that you can use to lock, recover, or format your Android phone. Follow the upcoming lines, and don’t forget to share this article if you’ve found it useful with your friends and family. The first application I will talk about is Google Find My Device, it may be considered as a native app and it comes with many smartphones as a pre-installed application. Google Find My Device is a simple mobile anti theft application that helps you do some important actions to locate, recover your mobile phone, and to protect your data stored on it. 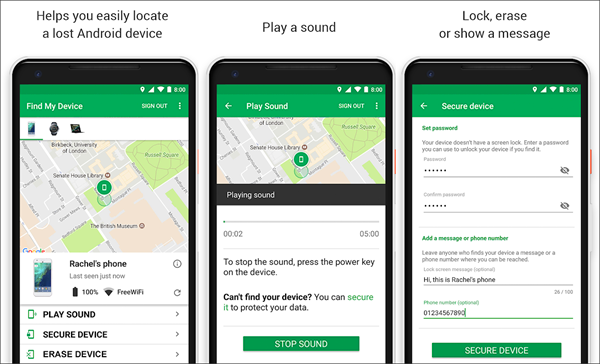 You can ask your phone to play a sound if it’s lost in home or office to find it easily, secure your device by locking it with a custom message telling anyone who finds it your contact number and finds it using Google Maps which shows you the last known location. The application is free and it’s a part of Google Play Protect program that contains many apps that help you to protect your devices. 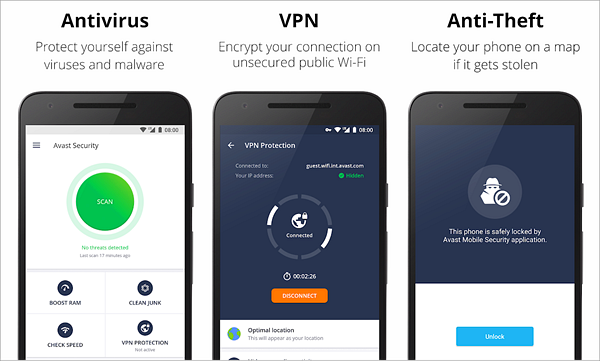 Avast Antivirus is an Antivirus application with many different features on it, including the Anti-Theft feature that lets you locate your phone by knowing the last known location on the map. It’s also useful if you are going to do pro-active actions to protect your data using the application features, like Photo Vault, App Lock, and SIM Security that automatically registers your device as a stolen or lost phone after changing the SIM. You can also know the thief by using the Camera Trap function that sends you a photo of the thief over email or SMS to know who has your mobile in the real-time. Mobile Security application provides you with a full package of security and protection functions that forces you not to use any other application while using it. This Android security app has a Thief Cam function that sends you an email with the photo of the one who is trying to break into your phone after a number of wrong password entries along with the time and date of taking the picture. It also has an App Lock function that helps you locking your apps with a secure PIN to make it difficult for the thief to open them up even after breaking into your phone. Moreover, this anti theft app allows you to remotely wipe your data, locating your phone, tracking it, and above all, it gives you the ability to manage it and your phone via the web portal. The application is made by the famous Anti-Virus software developer McAfee which makes it trustworthy. Another great and specialized application to protect your phone and data with many functions and an online dashboard to give commands to your phone and locate it via the map. You can do many things via the online Cerberus dashboard, like getting the location history, tracking your device, lock it with code, start alarm with a message, display a message, call it, getting SMS and Call logs, and wiping all your data. 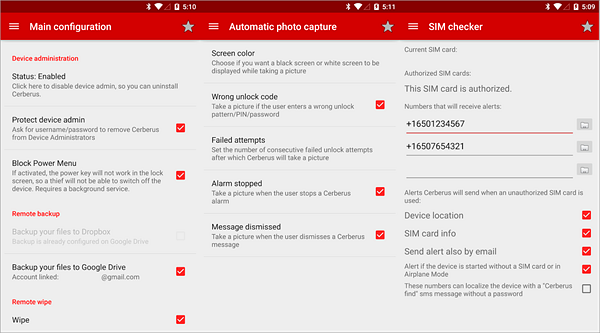 Also, the Cerberus anti-theft application allows you to remotely control your device via SMS from another phone if enabled with specific commands, and it has a Take Pictures function to provide you with the picture of the thief and even record videos to identify him. Another great anti-theft application with an easy-to-use interface allows you to give commands remotely to your stolen phone like wiping the data, locating your phone, capturing a photo of the thief, locking your phone, and notification of changing SIM card. The application also has some special features that are really helpful like giving your phone commands via text messages and activating the Auto-Theft mode once the phone goes out of a defined area. It also allows you to types of wiping your data, the first is to wipe phone data, and the second is to wipe SD card data which cannot be found in many other applications. One of the best Anti-Theft apps for Android with many great functions included starting from taking a selfie when somebody enters the wrong unlock code, locating your smartphone and sending them to your pre-defined email. 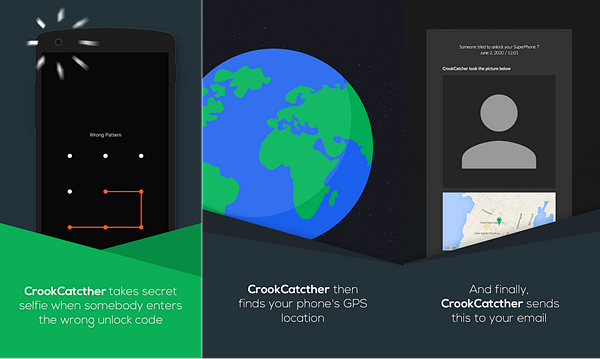 You can also get benefit from the CrookCatcher’s premium features like detecting SIM card change, detect break-in, retrying to send the protective email when the back online, hiding the notifications of new pictures until it’s unlocked and more. 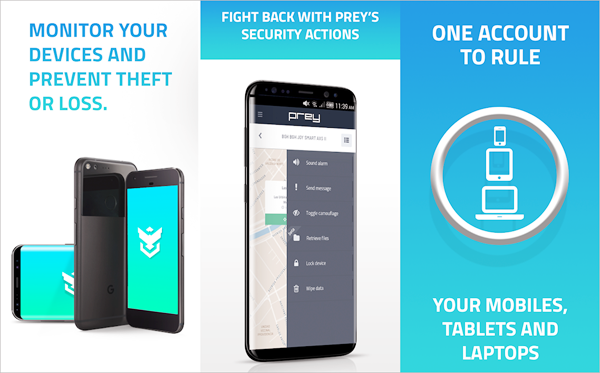 Prey Anti-Theft provides you with many functions that help protecting your mobile phone and data including the thief’s picture, the location of the mobile, hiding the application from the thieves, defining zones to detect unusual movements, and allowing you to see all active connections near your device to track it easier. 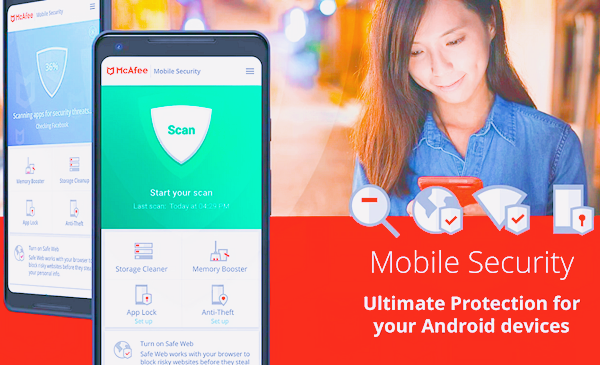 This Android anti theft application also offers a set of premium features like wiping, booming your data, and a File Retrieval feature that allows you to recover your files. 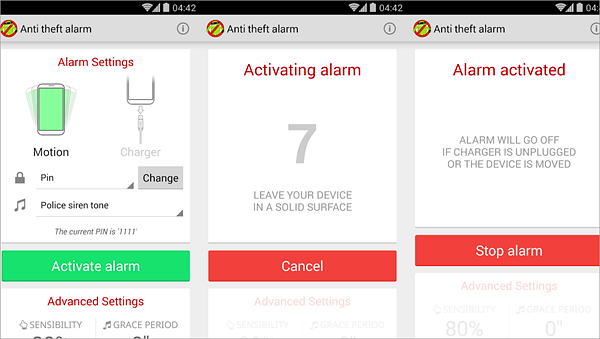 As the application name suggests, Anti-Theft Alarm sounds a loud alarm to let you know the location of the mobile in many cases including changing the SIM card. The best thing about this mobile anti theft application is that it sounds the alarm even the mobile is left in silent mode, and the noise of the alarm will never stop without a pre-defined password even when changing the battery or the SIM card. How Can You Get the Wiped Data Back? Wiping your data could be one of the hardest decisions to make when your mobile gets lost, as there always a possibility of recovering it, but your data? 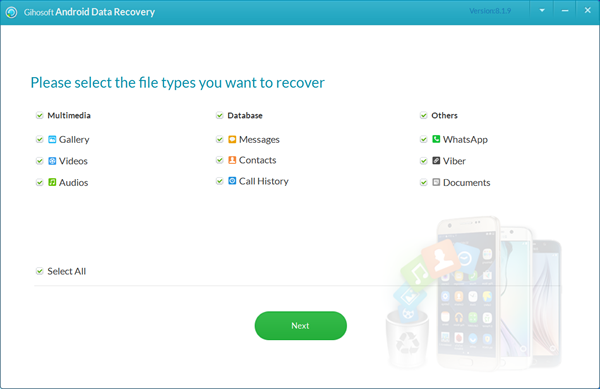 Using Gihosoft Free Android Data Recovery will save you from losing all your data whatever its type, including contacts, messages, photos, music, videos, WhatsApp chats, etc. and however the way it was removed. It’s an easy-to-use software that works on Windows and macOS systems and supports almost all smartphones including Samsung, Huawei, HTC, LG, Motorola, Google Pixel, OnePlus, and other phones with no root required.